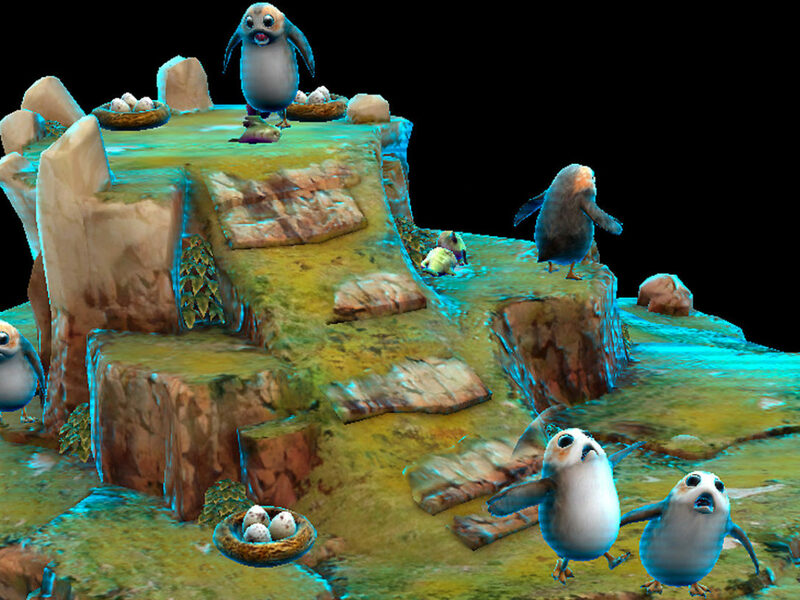 Producer Paul Keslin talks the patch's fresh tweaks, features, and the importance of fan feedback. 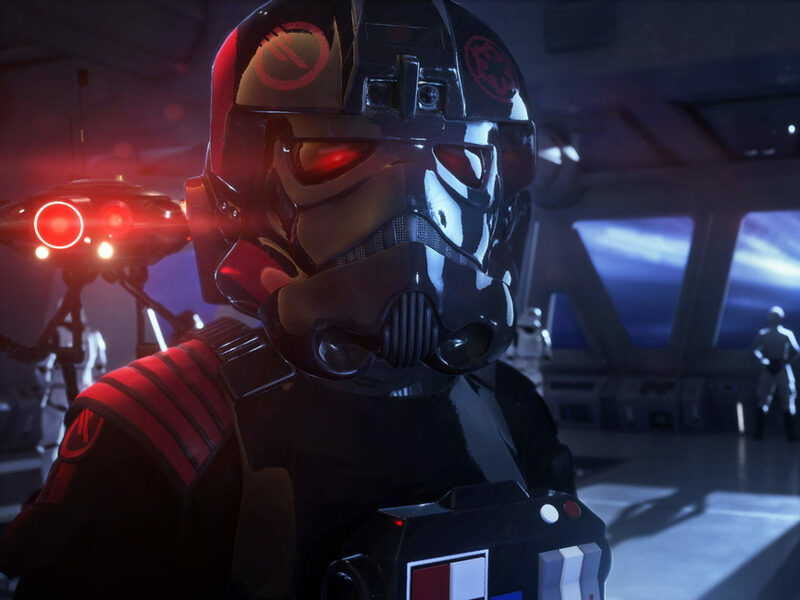 A new patch was released for Star Wars Battlefront II this month, and it’s a surprisingly meaty one. Officially dubbed patch 1.2, it’s filled with smart gameplay tweaks, new maps, a brand-new mode, and…wait for it…jetpacks. In other words, you need to check it out. 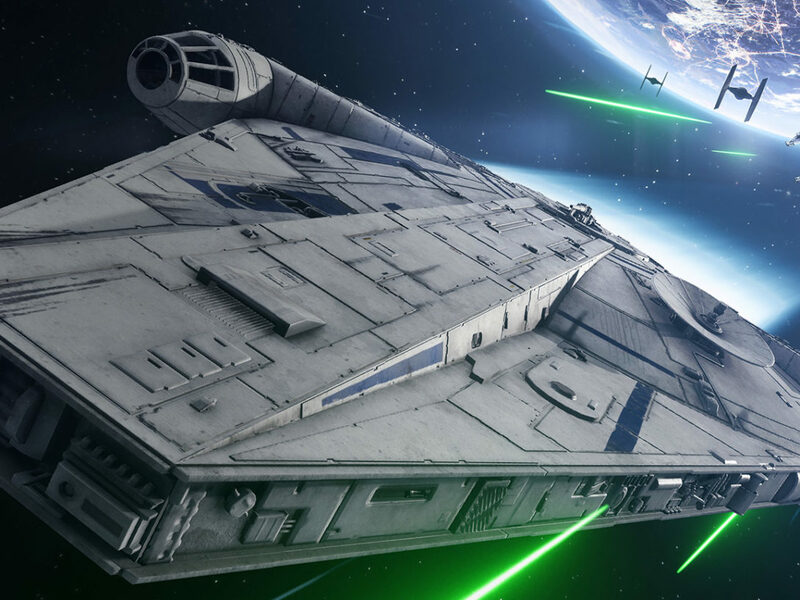 StarWars.com recently chatted with DICE producer Paul Keslin to get all the intel on what players can expect from this latest content-crammed drop. 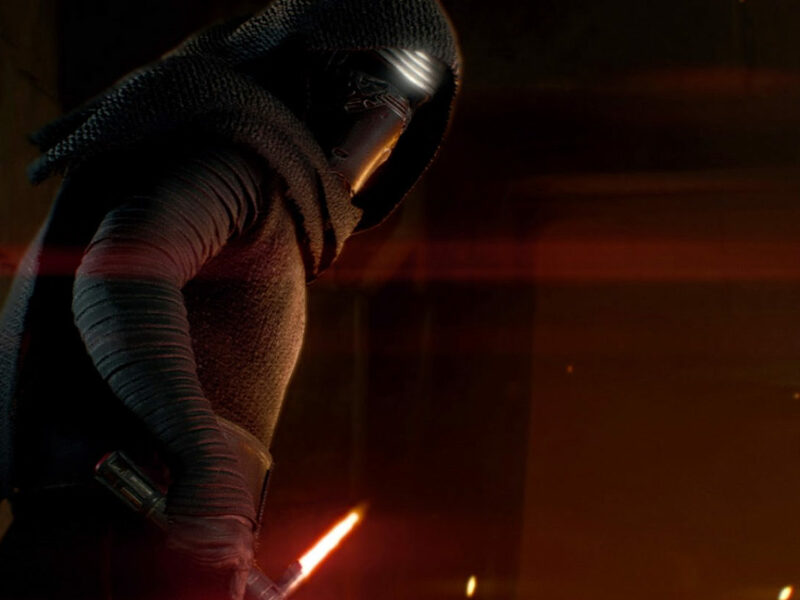 StarWars.com: How much is fan feedback taken into consideration before releasing a new patch? Paul Keslin: There’s actually quite a bit that goes in. In addition to the development team, we have our partners from our community teams, and partners from our customer experience team — the folks that handle customer calls when they come in. 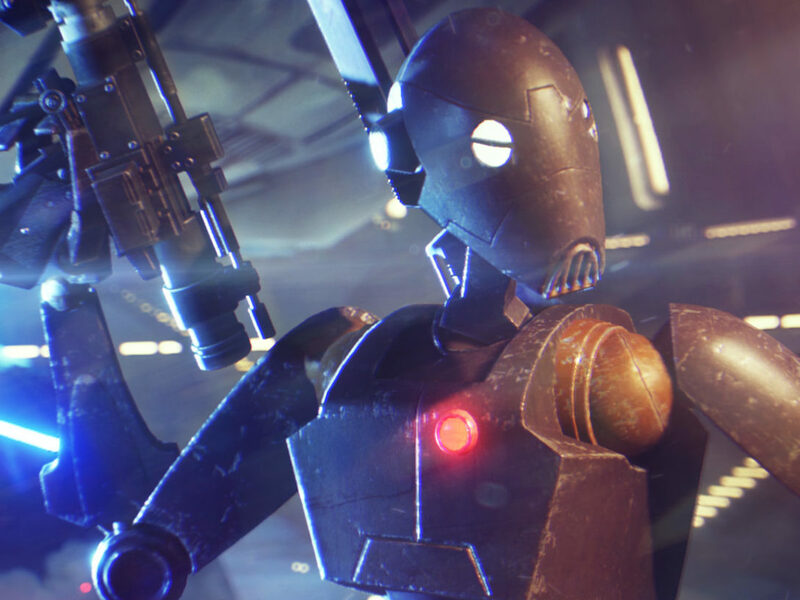 StarWars.com: Can you talk about the additions and improvements that have come to Arcade mode? Paul Keslin: We talked earlier about fan feedback and how that plays into our patches; here’s another instance of something that fans have been quite vocal about, saying they want more Arcade. They like these offline experiences, whether it be couch co-op with family members or friends, so we’ve added six new locations — Kashyyyk, Hoth, Endor, Crait, Jakku, and the Death Star II — for fans to play and customize arcade matches on. On top of that, we know fans have said, at times, the mode can be a bit simplistic, maybe not as challenging, so we’ve actually taken a good look at our AI system and made some significant changes; it’s a bit more believable and the AI acts a bit more human-like. I think fans will be excited to jump back into Arcade, try it out, and see the difficulty has jumped a little. 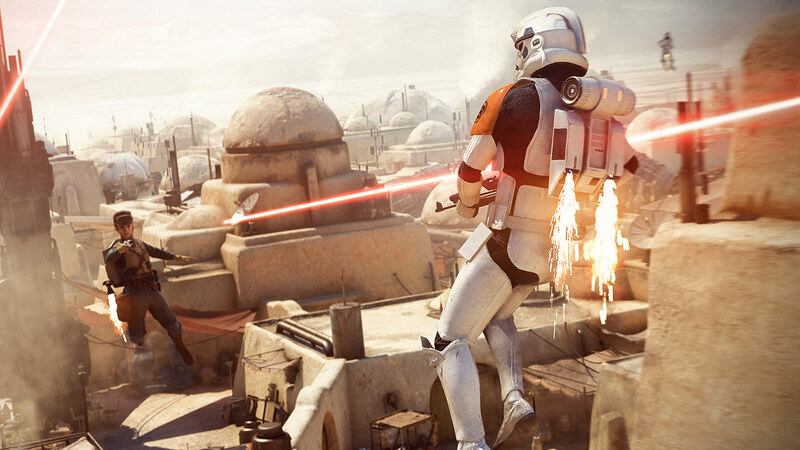 StarWars.com: For those who prefer online multiplayer, can you tell us what they can expect from the new Jetpack Cargo mode? Paul Keslin: In Jetpack Cargo, we’re pitting Imperials versus Rebels, and everybody gets jetpacks and rocket launchers. The goal is to grab the cargo on the map, then bring it back to your base to score points. It’s 8v8, so it’s a bit of a smaller play space. Players are attempting to capture cargo three times to win the match. It’s meant to be a bit quick, high-paced, really frantic, and a little bit crazy because there’s all these people jumping around with jetpacks, firing rocket launchers. It’s pretty chaotic, it’s a lot of fun, and we’re just excited to see what fans do with it. StarWars.com: This sounds quite different from anything else in the game. Can you talk about the creation and inspiration behind Jetpack Cargo? 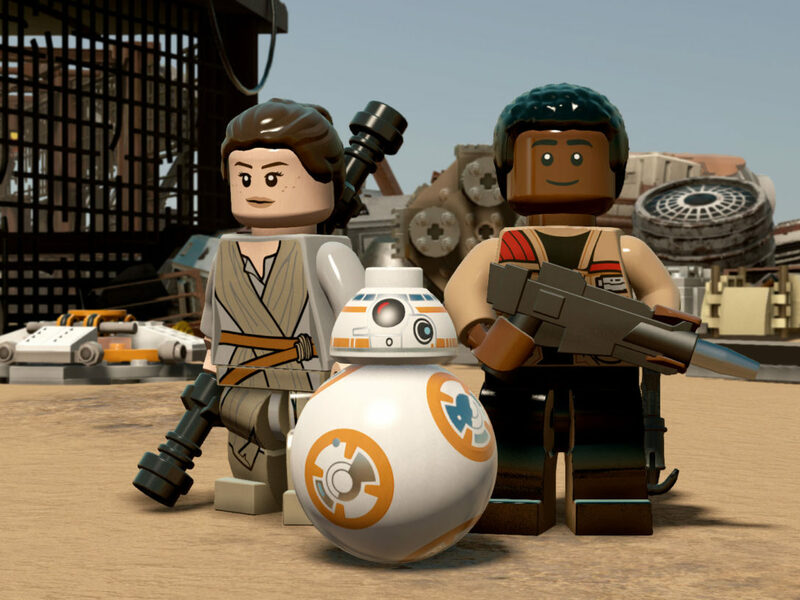 Paul Keslin: We worked with our partners at Lucasfilm to see what feels Star Wars enough, but is kind of out there just a little bit. It’s an opportunity to say, “We’ve got some cool feature sets that we have in the game already…maybe we can jumble them in a different way and create something new and interesting.” We put it in the hands of players, see how they react to it, and take that feedback to evolve the mode over time. Or maybe it inspires us to do something new and different in the future. It’s really about doing something new and interesting for fans to check out, taking that feedback and seeing what happens. StarWars.com: What made Tatooine the right map to set this new mode on? Paul Keslin: The city-scape meant it could kind of feel frantic; there’s a lot of tight corridors, so when you’re jumping around you’ve gotta be careful, you’ve gotta be smart. It’s on Tatooine, in Mos Eisley, but that’s not to say, when we take fan feedback and think about what other maps it might make sense for, we may try new things. 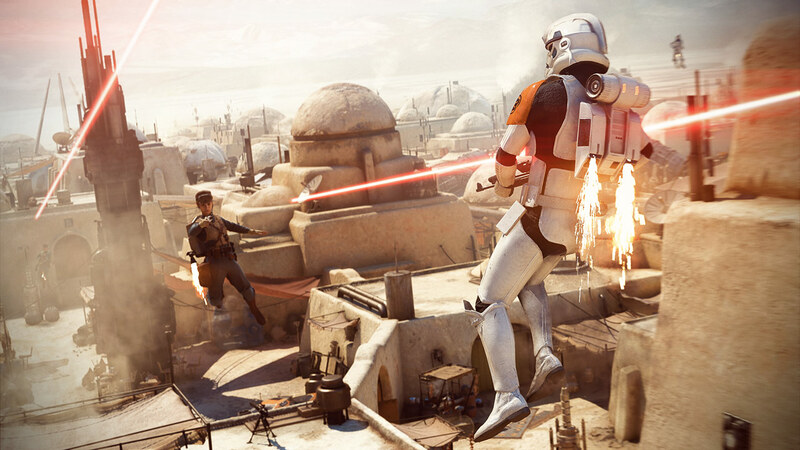 StarWars.com: And players have just a limited time to equip their jetpacks and arm their rocket launchers for this new mode? Paul Keslin: There’s a lot of stuff we had at launch, a lot of game modes, characters, and vehicles to play with, but this is the first time where we’re going to try out something in a more limited fashion — it’s more like a mini-event. But that doesn’t mean it can’t come back. Again, we want to try some new and interesting thing, and see what the fans react to. StarWars.com: And it’s safe to say we’ll continue to see Battlefront II updated in the future with fresh content? Paul Keslin: Absolutely. We want to continue to bring people new experiences, new content, keep making balance passes and bug fixes for the game. That’s something we’re 100 percent committed to.